Product prices and availability are accurate as of 2019-04-19 00:21:35 UTC and are subject to change. Any price and availability information displayed on http://www.amazon.com/ at the time of purchase will apply to the purchase of this product. 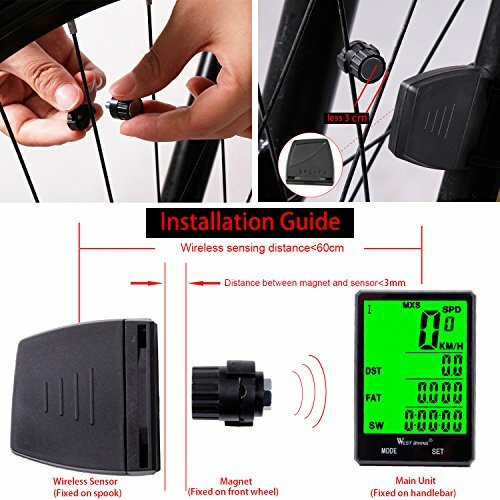 ?BUILT-IN STEEL BALL SWITCH?Automatically awake from sleeping mode when bike work,slight rattle is normal phenomenon when riding as the steel ball is working. 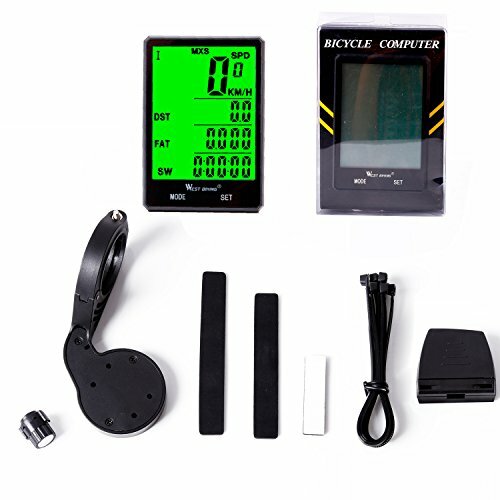 ?2 TYPES AVAILABLE(WIRELESS,WIRED)?Tailored for riding enthusiasts,track riding speed and distance instead of cellphone,observe your riding status at any time,easy to use and install. 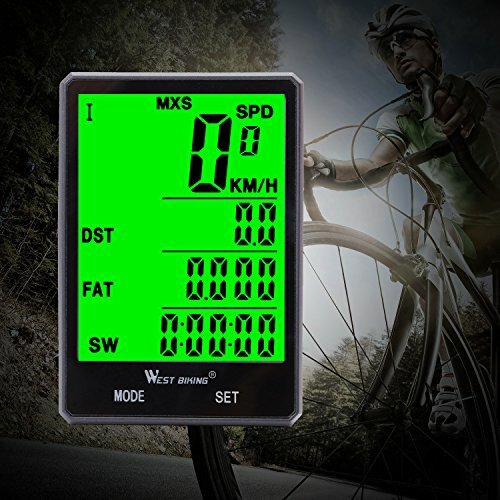 ?MULTIPLE FUNCTION?20 Powerful function to meet your different riding needs.Intelligent design&Simple operation for people to track their outdoor cycling real time and distance. More details please refer the product manual. 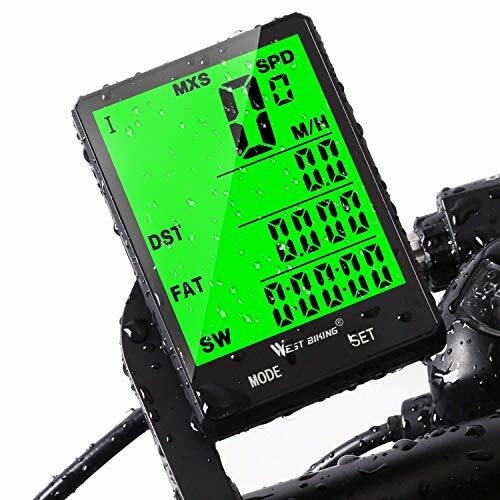 ?WATER RESISTRANT&Large LCD Backlight?IPX6 Waterproof keep moving in worst weather.Green back light allows you to read the digital clearly in the deep dark night or in the long tunnel. 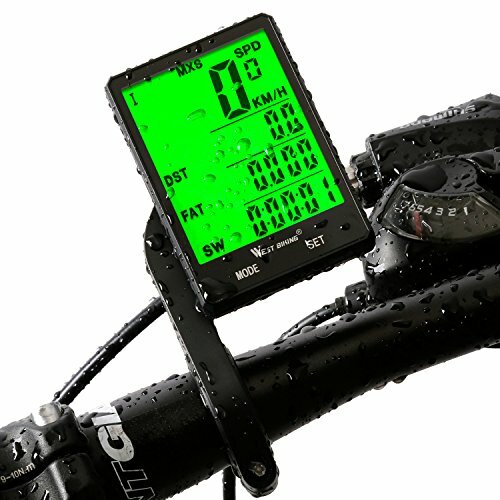 Sensitive touch screen,gently touch on the MODE or SET to wake up the screen. 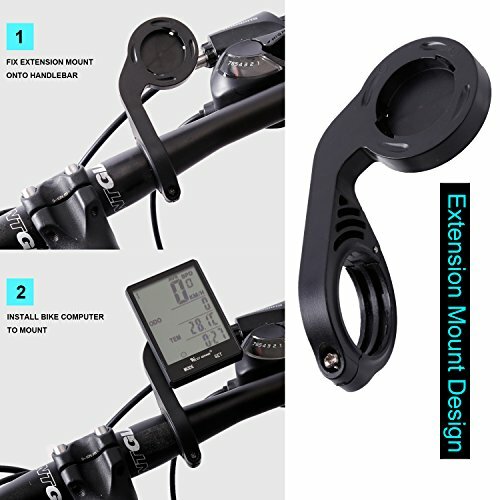 ?EASY INSTALLATION&SENSETIVE SENSOR?This bike computer's installation is divided into magnetic head and sensor installation and extension mount installation,both of them are easy to install.Suitable for most bicycles 25-31.5mm handlebar diameter.